Tom has been collecting baseball autographs by mail since 1972 (thanks to "Bullet" Bob Veale). As "Thomas S. Owens," he's written more than 50 books, many about sports or collectibles. Think twice about the letter you’re sending to a current or former player. Is it the same “form letter” you created long ago, one that used to get you a good response, only okay now? Do you think it doesn’t matter what you write, or that no one ever reads the letters? The player will either sign, or not sign? Please, reconsider. Each letter costs $1.10 in postage now. Plus paper and envelopes, not counting the card or photo you might enclose. Tell those letter recipients WHY. Why do you want an answer? The late Virgil Trucks once told me: “In the letters, they try to tell me all about my career. They tell me things they think I don’t know, but I do.” Translated, the wise Tiger hurler meant that he wasn’t impressed by letters filled with his stats. Years ago at a hobby show, Al Kaline spoke with me a minute. He was impressed when I said I could note all the places where he received mail. I began: care of the Hall of Fame, c/o the Tigers, c/o the TV station where he broadcasts. Kaline sighed and nodded. Then he raised his eyebrows. Players, current or retired, still have expectations about a letter. Why should you deserve a response? Tell the reason for writing. For instance, the autograph will help you complete a set. Even a team set. That neutralizes the fear of, “You want MY autograph to sell on eBay?” Players have set goals. They might relate to helping you meet a goal, too. Tell why this card is special. (No. Don’t list its book value.) Just tell how you got it, or how it made you feel. What do you like most about the card photo? Tell why this player matters. Did you see him play in person? Was he the first game you saw on your big-screen TV? Did your older brother or dad like that player, too? Do you remember him from the minors? I think 2 to 3 extra sentences would make your case. Don’t fib. Do be yourself. The truth shall set you free, and get you more autographs (quite possibly). 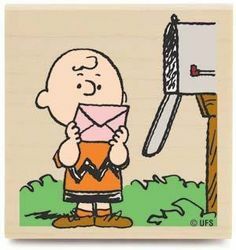 Even mail-starved Charlie Brown may be skeptical about some of the standard “fill in the blank” letters that some collectors rehash. You want a personal gift from someone in baseball? Try being personal yourself. into many of his replies. To celebrate Boston’s World Series win (and my return to Blogville), I wanted to share a 2011 post. The late second baseman gave stunning reasons why he never stopped signing by-mail requests. Let’s hope his same devotion to fans and The Game rubs off on the 2018 World Champions. And now, it’s flashback time! My admiration for Bob Doerr grows every year. 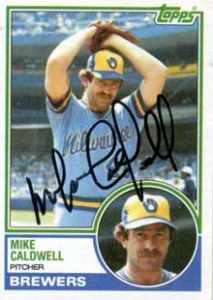 A Hall of Famer since 1986, he should be a charter member of any Autograph Hall of Fame. While some mortals complain about trying to send Christmas cards to two dozen people, this 93-year-old baseball icon signs thousands of autographs a year. He keeps thousands of letters a year straight. Sign the ball here. Add your Hall of Fame year. All those requests for inscriptions, pens, whatever. Doerr delivers! Thankfully, the “Silent Captain” was anything but when I asked him about his feelings about autographs. 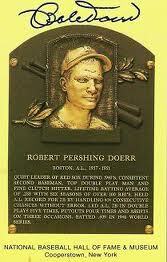 He replied on his official stationery, complete with the HOF logo and BOB DOERR as letterhead. Q: How many autograph requests come in the mail weekly? How do you manage? A: I average between 50 and 100 requests per week. Some days there are 30 or more requests and some days there are only 1 or 2. Very rarely are there days when there aren’t any. I do have a person who regularly helps me with the mail. Two people when I split my time between here and the Rogue. I also have family and friends that fill in from time to time. Q: You’ve never stopped signing. Other Hall of Famers demand a fee. Or, they just ignore fan mail. Why are you different? A: I have always enjoyed the fans. Their support and encouragement is inspiring. I also feel that we as players are honor-bound to respond to them. After all, they are the reason we are able to get paid for playing the sport we love. Q: How can collectors show their thanks? Is there a charity you support that we could help with? A: As to showing your thanks, I guess the best way to do that is to educate other collectors on good ‘request etiquette.’ So many either send way too much (I try to limit it to about 4) or they don’t send proper postage (etc.) or both. I hope these answers are helpful to you. Thank you for your interest in time. The letter is signed “Bob Doerr,” with that careful penmanship. This man’s autograph isn’t signed with ink. Doerr’s pen is filled with gratitude. I’ve never asked before. But now, I’m asking for Bob Doerr. Doerr never wrote, “Send me money.” He never even asked for any of us to donate to charity. Share this post. Tweet. Use any social media. Spread the Hall of Famer’s hope. I thank you. I know that this throwback hero would, too. After a summer away, I’m eager to make my comeback. My first move to get back in the game was reconnecting with my favorite website. I signed up with www.Sportscollectors.net back in 2012. I’ve never left. Their hobby forum keeps me up to date if someone’s address changes. Post a question, and you’ll get results fast. Has a former player just started charging for autographs? The forum will have answers. Collectors log their TTM attempts and results, including how long the response took. Save time. Save postage. Make new hobby friends. For just $14.99 a year, you can’t go wrong.